Warren birth injury lawyers & cerebral palsy attorneys discusses the most dangerous times to be admitted to the hospital. Warren, Detroit’s largest suburb, is home to St. John Providence Medical System’s headquarters. St. John Providence is a major Michigan referral center for high risk pregnancies, with close to 4,000 babies being born here every year. It is crucial for physicians to recognize high risk pregnancies because they require much closer monitoring as well as astute management. Failure to properly monitor and manage a high risk pregnancy can result in birth injuries in the baby including cerebral palsy (CP), hypoxic ischemic encephalopathy (HIE; birth asphyxia), seizures and epilepsy, motor disorders and intellectual and developmental delays. In the last several years, numerous studies have been published that indicate just how dangerous hospitals can be. Because patients hope and expect to trust medical professionals, these studies are often very alarming. This is particularly true for expectant parents—towards the end of a pregnancy, giving birth should be a time of relief and excitement rather than anxiety. Unfortunately, many studies on medical mistakes indicate that patients—particularly expectant mothers—should be alert and proactive when visiting the hospital for care. Indeed, with preventable hospital errors being the third cause of death in the U.S. and the fact that most hospitals and state medical boards (and even the federal government) are taking no action to try and reduce these errors, receiving care in a hospital can be scary. This epidemic of preventable—and often deadly—medical mistakes was discussed at length in senate hearings this summer. At one of the hearings, Harvard School of Public Health professor Ashish Jha expressed to the panel that patients are regrettably less safe in U.S. hospitals today than they were 15 years ago. Tragic errors that occur in hospitals include medication and surgical mistakes, infection, and failure to recognize and treat patients—including unborn babies—who are in distress. These errors are more likely to occur during certain time periods. Thanksgiving, Christmas, Hanukkah, Easter, Independence Day and summer breaks are when senior medical personnel tend to take their vacations. Thus, during holidays, hospitals are left with a less senior and less experienced medical team. In addition, hospitals may be grossly understaffed during the holidays. The same phenomenon occurs on weekends and during evenings. Senior staff members want their weekends off, and they want to go home in the evening. Not only do the experienced and senior staff members have evenings and weekends off, but during these periods, the hospital is understaffed and the evening and nighttime staff is usually comprised of temporary and part-time employees. There are numerous studies that discuss the high rate of preventable tragedies that occur in hospitals at night. These nighttime tragedies include a higher rate of death for patients who suffer heart attacks and newborn babies, as well as higher incidents of medication errors. July is a dangerous month to be in the hospital. Firstly, this is when the experienced staff tend to take their vacations. Secondly, July is the month in which new residents and fellows start their programs at medical institutions. Anyone who has worked at a hospital during July can tell you about the confusion, lack of effective communication and numerous mistakes that are made during this month. Research shows that the incidence of medication mistakes and death from these mistakes spikes in July. One would think that hospitals would change policies in order to prevent the tragic errors just discussed. Yet, medical institutions still allow senior staff members to control the schedule and July is still the month in which every hospital with a residency program has a huge influx of brand new residents and fellows. Certainly it is a good idea to schedule hospital stays during safer time periods. However, patients are often unable to choose when they need medical treatment. Babies are born early and accidents happen. One of the best actions a patient can take to protect herself is to have a patient sitter. This is a friend or family member who remains at the patient’s bedside at all times. Patients have a right to have a sitter. It is a good idea to call hospitals in the area to determine if any do not allow sitters after visiting hours. People can let their friends and family members know where they would like to be taken in the event of an emergency. A list of acceptable physicians, hospitals and surgical centers can be kept in the wallet. If an expecting mother needs a C-section delivery, most hospitals allow her husband or partner in the surgical area. Patient sitters can make a significant difference in a patient’s hospital stay, and most patient advocacy groups recommend having a sitter. Listed below are some general tips that can help ensure a safe hospital stay. Many of these steps can be taken by the sitter. Patients must remember that they are in charge. They have a right to read their charts and medical records at any time, and people given permission by the patient also may read the records. Patients should feel free to ask as many questions as they want. For example, it is important to ask the treating physician or staff member performing a procedure how many times she has performed the particular procedure, test, or operation. When a mother is in the hospital for labor and delivery, it is important to ask how competent the staff is at interpreting fetal heart rate tracings. It is crucial to make sure that staff is present to review the tracings, and that the staff members – especially the primary obstetrician – have experience and skill in interpreting the tracings. Indeed, a 2013 study from Johns Hopkins found that 80,000 deaths AND 80,000 severe injuries each year are caused by wrong, missed or delayed diagnoses. Even if a physician misses a diagnosis that can affect the well-being of the unborn baby, the baby’s distress will be noted on the fetal heart rate monitor. The key is to have a staff member skilled enough to detect even the early, subtle changes that indicate that distress in a baby is imminent. Research shows that a lack of skill in fetal heart tracing interpretation and a breakdown in communication among the medical team are major causes of preventable injury to a baby during labor and delivery. Closely monitoring baby’s heart rate is vital during or around the time of delivery, because the fetal heart rate is often the only indication of the baby’s health status. If a baby experiences oxygen deprivation in the womb, the fetal heart rate monitor will indicate this. Properly monitoring fetal heart tracings is a critical part of avoiding hypoxic ischemic encephalopathy (HIE) and infant brain damage. A number of labor and delivery complications can lead to fetal distress. Thus, it is also crucial to make sure the physician has the capacity to perform an emergency C-section if needed. When a baby is in distress, a C-section is often the best (and sometimes only) way to quickly deliver her and to prevent brain damage when she is being deprived of oxygen in the womb. Certain conditions, such as cephalopelvic disproportion (CPD), total placenta previa and certain breech and face presentations require a C-section delivery. Are you skilled in fetal heart rate tracing interpretation? How many years of experience do you have? Is there an additional physician immediately available in the event that multiple dangerous conditions occur simultaneously, such as my baby and me having medical problems at the same time? If my baby becomes distressed, do you have the ability to deliver her very quickly via emergency C-section? Which Labor and Delivery Complications Can Cause Birth Injuries? Listed below are some conditions that can cause a baby to suffer a birth injury if the physician doesn’t take appropriate action. Many times, these mistakes involve the failure to perform an emergency C-section. Uterine rupture: This occurs when the uterus partially or fully tears, which can cause oxygen deprivation in the baby. Uterine rupture can even expel the baby from the mother’s abdomen. Uterine rupture is a very serious medical emergency. Placenta previa: This is when the placenta covers the opening of the birth canal either fully or partially. If this condition is present at delivery, the baby must be delivered by C-section. Placental abruption: Placental abruption occurs when the placenta separates from the uterus, either partially or fully. If the tear is at the umbilical cord, the baby could be totally cut off from her oxygen supply. Umbilical cord prolapse and compression: A prolapsed umbilical cord enters the birth canal before the baby during delivery. Umbilical cord prolapse can cause cord compression, which compromises the amount of oxygenated blood that reaches the fetus. Nuchal cord: Nuchal cords occur when the baby’s umbilical cord wraps around her neck. Premature rupture of the membranes (PROM): PROM is when the mother’s water breaks before she is in labor. This can cause premature birth and chorioamnionitis (intra-amniotic infection). CPD and macrosomia (large baby): CPD occurs when the baby is too large for the size of the mother’s pelvis. CPD (cephalopelvic disproportion) requires a C-section delivery. Attempts at vaginal delivery when CPD or macrosomia are present can cause major trauma to the baby’s head and body. This can cause brain bleeds and hemorrghages. CPD is a risk factor for shoulder dystocia, which is when the baby’s shoulder gets stuck on the mother’s pelvis. Sometimes the physician pulls too hard on the baby’s head when this occurs, causing nerves in the shoulder area to become stretched and torn. This can cause paralysis in the arm, which is a condition called Erb’s palsy. CPD also places a baby at risk of having an umbilical cord prolapse. Breech or face presentation: These conditions occur when the baby is not in the standard, head-first position. In cases of breech presentation, the fetus’ buttocks are in a position to exit the birth canal first. In face presentation, the baby’s face presents first. Chorioamnionitis: This is an infection of the placenta and fetal membranes, and if not properly managed during delivery, the infection can travel to the baby’s brain and cause permanent brain damage, such as meningitis. Misuse of vacuum extractors and forceps during delivery: Forceps and vacuum extractors are risky delivery instruments that attach to the baby’s head and aid in delivery. They increase the risk of head trauma and brain bleeds. Sometimes these instruments actually slow down the delivery process, such as when they are being used by an unskilled physician. Furthermore, the instruments frequently are used when the physician should have quickly performed an emergency C-section. Preeclampsia: This is when the mother has high blood pressure, which can cause a decrease in the supply of oxygen-rich blood going to the baby. Use of Pitocin and Cytotec: These drugs can cause contractions to be too strong and frequent, which can severely deprive the baby of oxygen. The intense contractions, called hyperstimulation, is a risk factor for brain bleeds in the baby. When a baby is being deprived of sufficient oxygen and is in distress, she must be delivered immediately, usually by emergency C-section. Brain injury can be prevented if physicians quickly recognize complications – which almost always manifest as a non-reassuring heart tracings on the fetal monitor – and then deliver the baby right away so she can breathe on her own and be helped by the medical team. Physicians are also supposed to diagnose infections in the mother and take actions to prevent the transmission of them to the baby. In addition, dangerous delivery devices, such as forceps and vacuum extractors, should only be used in limited circumstances, and only by skilled physicians who have obtained informed consent from the mother. The award birth injury lawyers at Reiter & Walsh ABC Law Centers focus solely on birth injury cases and have been helping children throughout the country for almost 3 decades. The attorneys believe that any person whose negligence causes a child to suffer a birth injury should be held responsible. Reiter & Walsh are very passionate about helping children obtain the compensation they need for lifelong treatment, therapy and a secure future, and they take a lot of time getting to know each child and family they are helping so they can fully understand the child’s needs. 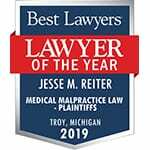 Jesse Reiter, president of ABC Law Centers, is the only attorney in Michigan who has spent his entire 28+ year career focusing on birth injury cases, and most of his cases involve children with cerebral palsy. Jesse helps children in Michigan and throughout the nation, and he spends a great deal of time getting to know the child and family he is helping so he can completely understand the child’s needs. Jesse has won numerous awards for his advocacy of children, and he is currently recognized as being one of the best medical malpractice attorneys in America by U.S. News and World Report 2014, as well as one of the 10 Best Attorneys in Michigan by Super Lawyers magazine. Birth injury is a difficult area of law to pursue due to the complex nature of the disorder and the medical records that support it. The award winning lawyers at Reiter & Walsh ABC Law Centers have decades of experience with birth injury cases. To find out if you have a case, contact our nationally recognized firm to speak with an experienced birth injury attorney. We give personal attention to each child and family we help. Our attorneys handle cases in Michigan, Ohio, Washington, D.C. and throughout the nation. 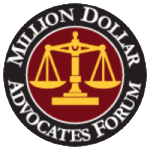 We have numerous multi-million dollar verdicts and settlements that attest to our success and no fees are ever paid to our firm until we win your case. Email or call us at 888-419-2229. Our firm’s award winning attorneys are available to speak with you 24 / 7. In this video, Warren birth trauma attorney Jesse Reiter explains the many complications that can occur during labor and delivery that, if not properly managed, can cause the baby to suffer from birth injuries. Most birth injuries are caused by a lack of oxygen to the baby’s brain.